Depiction of 3-window surgical technique. 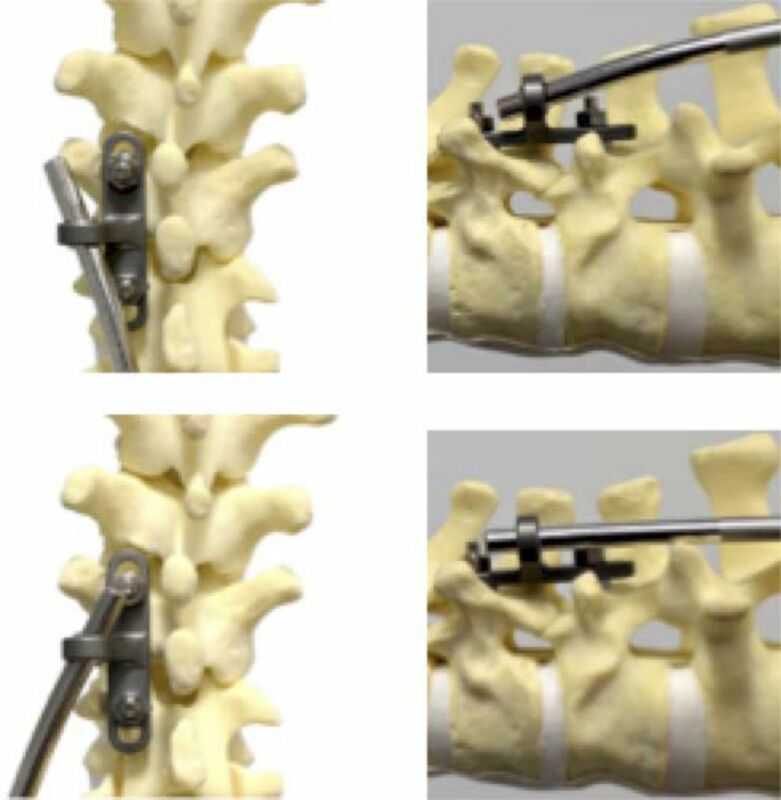 Mobile Heim anchors utilized at upper instrumented vertebra and lowest instrumented vertebra allow relative motion of the rod (eg, bending, flexion-extension, axial slide). 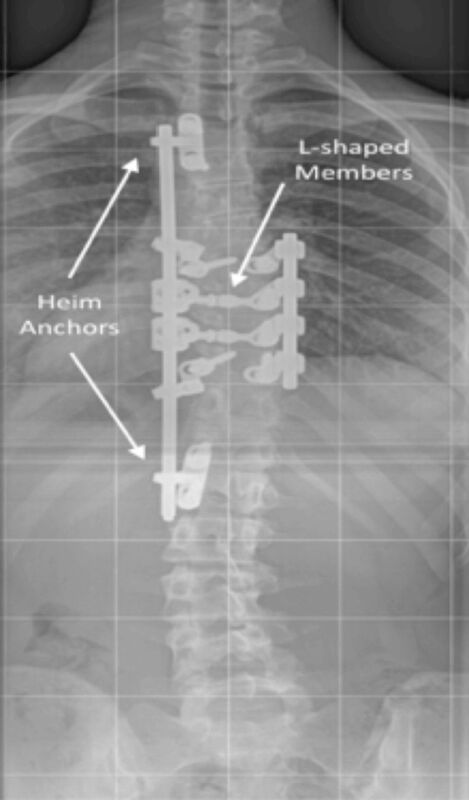 (a) Depiction of the deformity correction forces applied through L-shaped member. 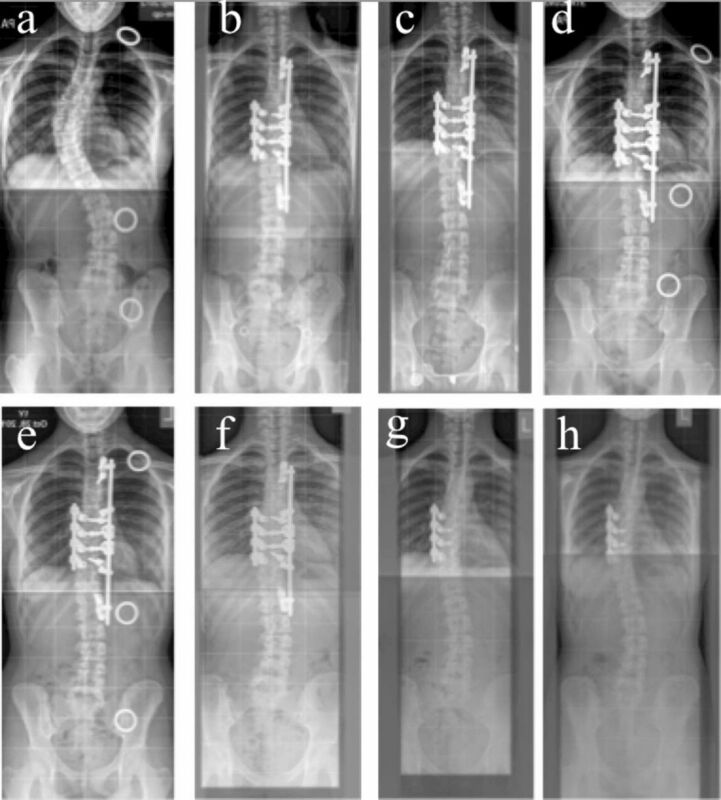 (b–e) Photographs showing axial correction during tightening of L-shaped member, done at initial surgery. Radiograph image of typical postcorrection construct. Standing AP radiographs. 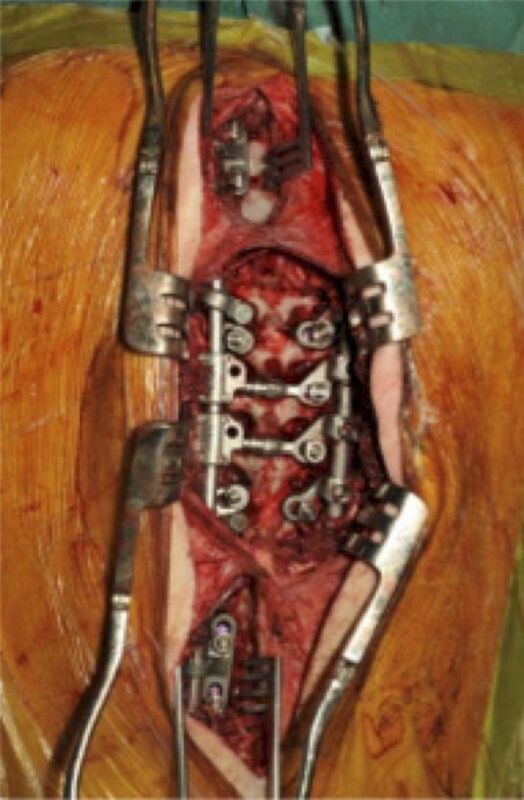 (a) preoperative, (b) postoperative, (c) 3 months postoperative, (d) 6 months postoperative, (e) 12 months postoperative, (f) 24 months postoperative, (g) 4 months postremoval, (h) 10 months postremoval.